Save Alamance & A Giveaway! That call to action from Governor Tryon to Jamie would come to a stunning conclusion in The Fiery Cross with the The Battle of Alamance, changing the lives of our beloved Outlander characters forever. But did you know that this battle is not fiction? In 1771, an armed rebellion of over 2,000 backcountry farmers called Regulators battled with royal governor William Tryon’s 1,000-man militia. The spark for this conflict was growing resentment in the Carolina colony against the taxes, dishonest sheriffs, and illegal fees imposed by the British Crown. In response, the Regulators were formed and began to fight back. Though the rebellion was crushed, a few years later their tactics became a model for the colonists fighting the British in the American Revolutionary War. The battle began on May 16 after the Regulators rejected Tryon’s suggestion that they disperse peacefully. Lacking leadership, organization, and adequate arms and ammunition, the Regulators were no match for Tryon’s militia. Many Regulators fled, leaving their bolder comrades to fight on. The rebellion of the Regulators was crushed. Nine members of the king’s militia were killed and 61 wounded. The Regulator losses were much greater, though exact numbers are unknown. Tryon took 15 prisoners; seven were hung later. If you’ve read The Fiery Cross, you know that these hangings become quite personal for one major character. After the battle, many Regulators moved on to other frontier areas beyond North Carolina. Those who stayed were offered pardons by the governor in exchange for pledging an oath of allegiance to the royal government. The War of the Regulation illustrates how dissatisfied much of the population was during the days before the American Revolution. The boldness displayed by reformers opposed to royal authority provided a lesson in the use of armed resistance, which patriots employed a few short years later in the American War for Independence. Alamance Battleground located in Alamance County, North Carolina, preserves the legacy of the May 16, 1771 Battle of Alamance. The state of North Carolina has already preserved 60-acres of battleground lands as a State Historic Site, open to the public for education; however, two tracts of land adjacent to the site are now up for sale. These lands include the actual epicenter of the battle in addition to lands utilized by Regulators during the leadup to the battle, and their retreat and triage afterward. Please help in safeguarding a culturally and historically valuable battlefield from encroaching development! The Battleground is seeking funds to preserve this land in order to promote educational opportunities for generations to come, and to honor the legacy of those who made early sacrifices that ultimately paved the path towards American Independence. If every Outlander fan donated just one dollar towards this worthwhile cause, the Battleground would have no trouble purchasing these two vitally important tracts of land and preserving the history of the Battle for generations to come! Please consider donating today at their Go Fund Me Page: Save Alamance. Also, would you consider sharing this post with others? The more people we can make aware of this fundraiser, the better the chances are that we can #SaveAlamance! Do it for Roger but more importantly, do it for history! In honor of the Battle of Alamance and the Alamance Battleground, I am pleased to give away TWO (2) copies of “Farming Dissenters: The Regulator Movement in Piedmont North Carolina” by Dr. Carole Watterson Troxler. NO PURCHASE NECESSARY AND A PURCHASE DOES NOT INCREASE YOUR CHANCES OF WINNING. Please enter below for a chance to win a copy of “Dissenting Farmers: The Regulator Movement in Piedmont North Carolina” by Dr. Carole Watterson Troxler. One entry per option completed. This giveaway begins on Friday, May 4, 2018, at 1:00 PM Eastern Time and ends at 12:59 PM Eastern Time on Friday, May 11, 2018. The winners will be announced on the blog and in the Outlander North Carolina Facebook group. You must be 18 years of age or older to enter and must be a resident of the United States. (Apologies to our international readers. Giveaway laws vary widely in different countries and giveaways are totally prohibited in some.) Selection of the winners will be made by random drawing from qualifying entries within 48 hours of the end of the giveaway. Prizes will be mailed directly to the winners by Outlander North Carolina. Questions regarding the giveaway can be directed to outlandernorthcarolina@gmail.com. 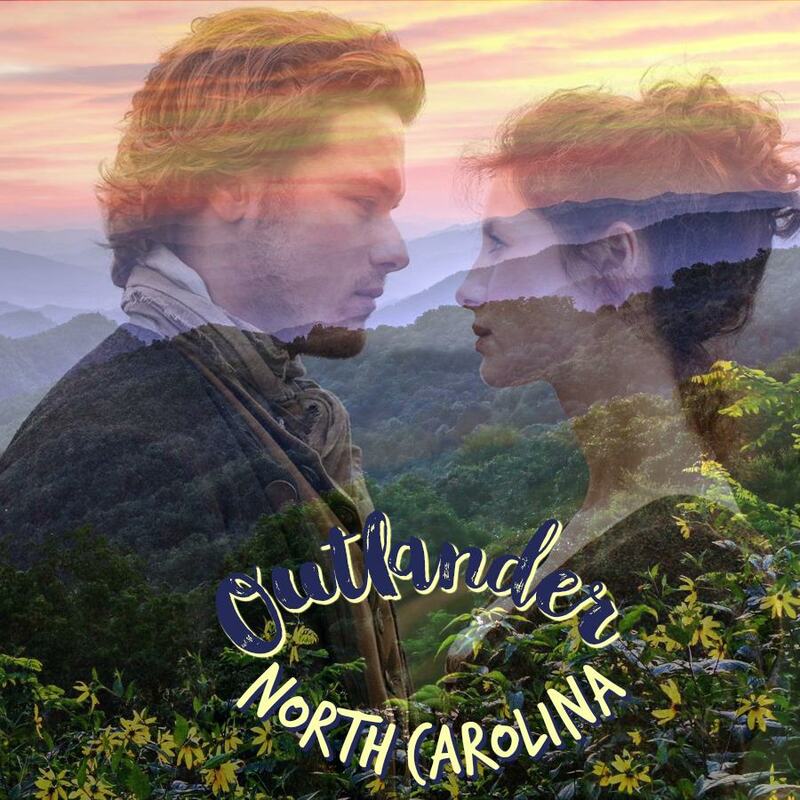 Good luck and, as always, thank you for reading Outlander North Carolina! P.S. Don’t forget to donate to #SaveAlamance by clicking here. Yo Ho Ho! Plus A Giveaway! Fifteen men on the dead man’s chest. Yo ho ho and….wait a minute. No, no, no! Not a bottle of rum…..a giveaway! One more note of interest on Stephen Bonnet, that pirate we meet in Drums of Autumn and the one we all hate – if you have read the books, that is. Karen Henry over at Outlandish Observations told me that Diana (you know, Herself?) has said that Stephen is probably the son or grandson of Major Stede Bonnet. If anyone would know, it would be Diana, so, there you go! The apple doesn’t fall far from the tree. He’s a chip off the old block. Like father, like son. OK, I’m rambling and I’ll stop now but you get the picture. Diana is truly a walking history book. I wish I could have her brain but I doubt she wants to part with it and I doubt even more that she would want mine in place of hers. Now, back to the contest. You must have or register for an Amazon account to enter; however, NO PURCHASE IS REQUIRED. One entry per person. Giveaway ends Sunday, September 3, 2017 at 11:59 PM. One winner from all entrants will be randomly selected by Amazon who will notify that person via email. Watch your inbox since the winner will have 48 hours to respond. For more, please see the Official Rules at https://amzn.to/GArules. Ready to enter the Yo Ho Ho Giveaway? Well, then, just click on this link: Yo Ho Ho Giveaway. Thanks for reading the blog and may the best Sassenach win!! !